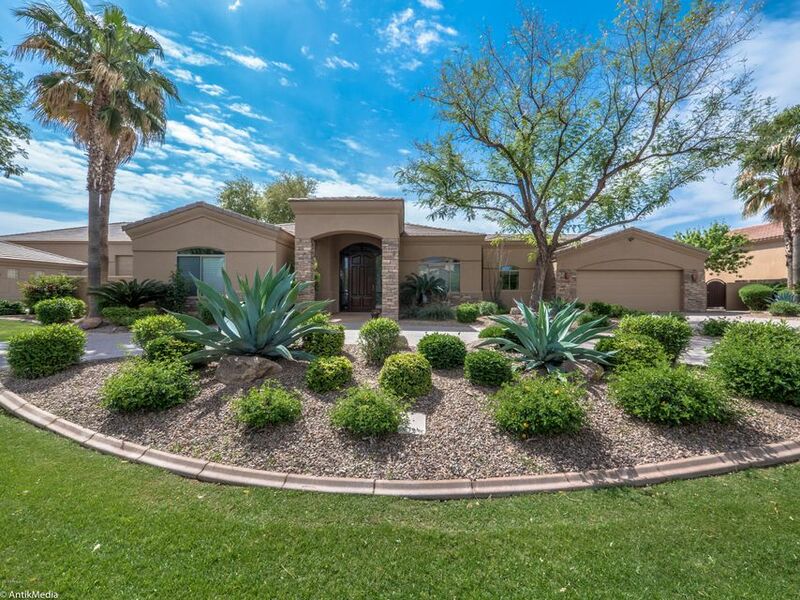 All Chandler homes currently listed for sale in Chandler as of 04/21/2019 are shown below. You can change the search criteria at any time by pressing the 'Change Search' button below. "Who Made Heaven a Place on Earth? 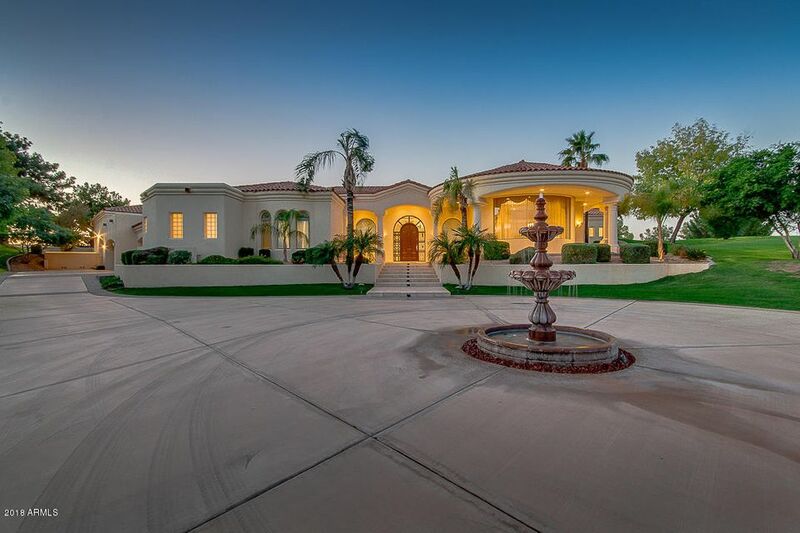 Impeccable 10.5 Acre Gated Estate in The Pristine Chandler-Tempe, AZ Corridor. 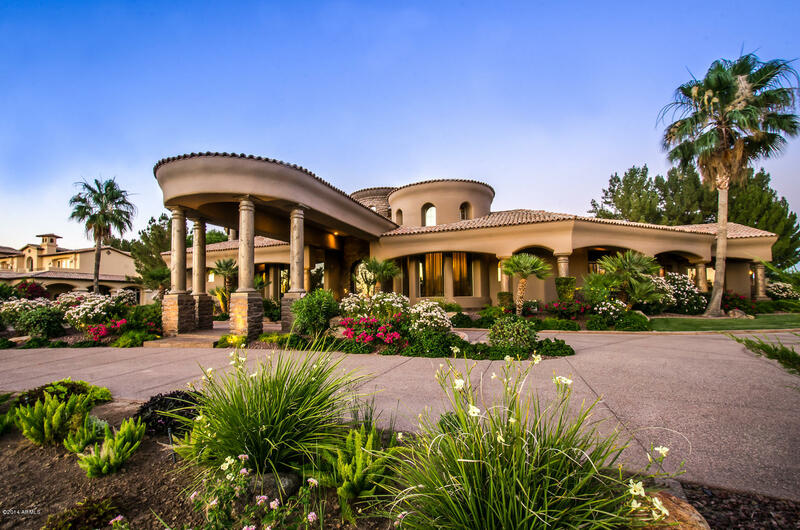 The 13,600 Square Foot Mansion is One of the Finest in Arizona!! Security Gates Will Open for You Upon Entering. This Estate is Protected w/ High Security. 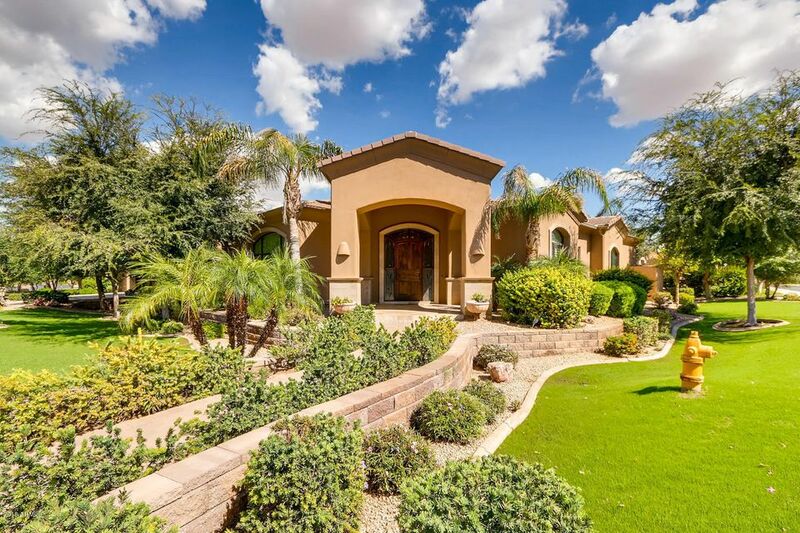 Key Features Include a 22 person In-Home Theater, English Pub & Game Room, European-Style Carved Wood Doors & Includes a Butler's Quarters, Two Meandering Streams w/ an 1.5 Acre Lake for Jet Ski's etc, a Full-Size Tennis Court, G"
"Here is an opportunity of a lifetime to own in Chandler's coveted Island at Fulton Ranch. This amazing smart home features a gourmet kitchen, theater room and a 1,000 bottle wine cellar. Spectacular outdoor living with a pool and spa and a built in BBQ, and unparalleled views of the lake. Every time you turn a corner in this unbelievable home it will shock you with how fabulous the finishes are. This house is truly one of a kind and WONT last long!!!" "Truly a one of a kind. Island in the desert!! Premier Chandler location! 5 acre island surrounded by a 10 acre lake in the coveted Oakwood Hills community. Enter the private gate and cross the bridge to find your own personal resort! Over 18,000sqft under roof. Main house consists of 5 bedrooms 6.5 bathrooms, basement theater, upstairs game room and open loft, sunken living room and family room. Master suite has sitting room, huge office, 2 private courtyards, bathroom with walk in shower"
"Seller says to submit all offers for consideration. Gorgeous custom estate in Stellar Airpark, beautifully decorated and first time ever on the market! Fly to your new home and taxi to your personal hangar. Close the Schweiss Door behind you and enter your home directly from the hangar! This lovely estate sits on a 22,000 square foot corner lot in the gated community for a perfect lock and leave (or lock and fly!) 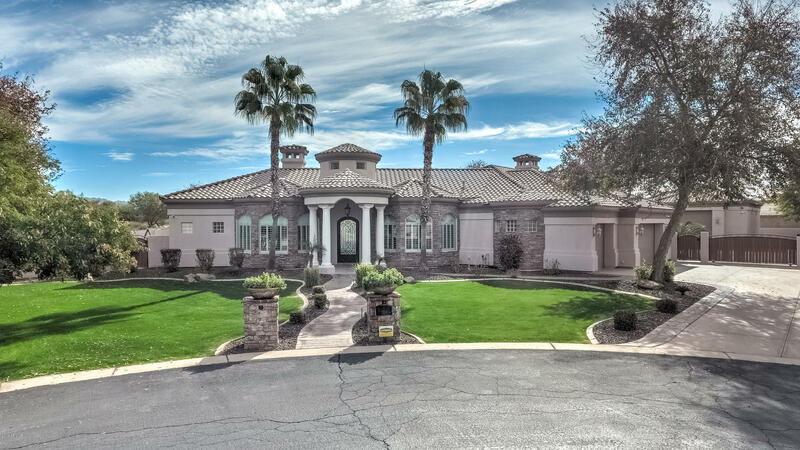 getaway.Here you'll find an aviator's dream home - 6,550 square feet, open concep"
"Prime location in Chandler with 9+ acres zoned R-43. Irrigated lot with water and electric to property. Located near freeways, shopping, restaurants, and entertainment. Great development opportunity!" 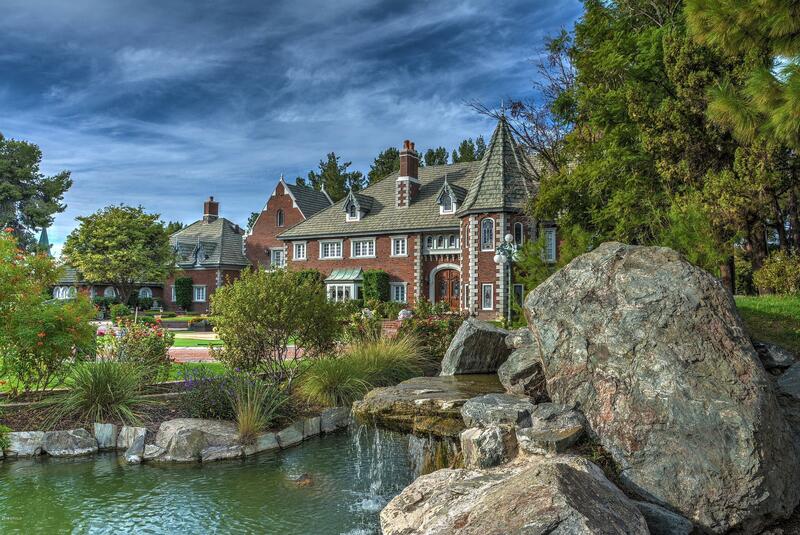 "This amazing estate sits on 1.14 acres in OAKWOOD HILLS GATED LUXURY community. Pull through the gates & you'll know you just entered the most beautiful neighborhood in Arizona. Before you ever get to the house, you will drive around a beautiful 14 ACRE LAKE which is used to water ALL the grounds at EACH HOMESITE and all the common areas! The perfectly lined palm trees & many water features are a small part of the overall community beauty. 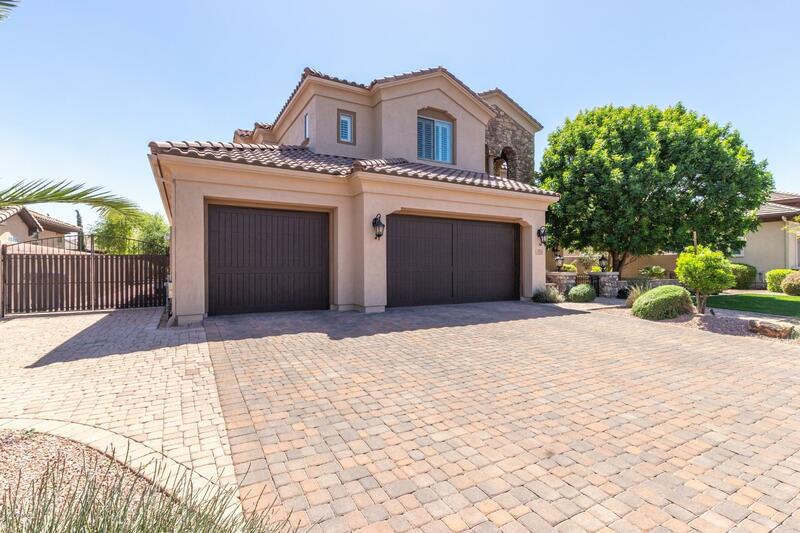 When you pull into the circular drive, you'll park under"
"The exclusive neighborhood of Trovita, on the edge of South Tempe, presents you with a rare opportunity to acquire one of its most elegant homes. The estate sits on two full sized lots with lush mature landscaping for shade and privacy. Gorgeously appointed throughout, dramatic custom double doors lead into a grand foyer, formal sitting room and beautiful dining room. Large perfectly placed windows afford views onto a dreamlike back yard and let in an abundance of natural light. Inside you will"
"Stunning 5 bed/5 bath waterfront estate on 1.3 acre lot in the private community of Oakwood Hills. (see video) This home was built w/ attention to every detail & upgrades galore. Magnificent grounds greet you, including cobblestone driveway w/ roundabout, babbling brook, pristine landscaping & amazing gated, front courtyard w/ fountain & bench seating. Inside you will find soaring ceilings, custom lighting, gas fireplaces, plantation shutters & bright open spaces perfectly positioned for social "
"Amazing 1.56 ACRE ESTATE in Beautiful Ultra EXCLUSIVE GATED LUXURY LAKE COMMUNITY. This Magnificent home is situated on a prime Cul De Sac Lot in this Lush subdivision is built around a 14.5 Acre Lake with waterfalls and streams. This Home features 5 bedrooms 4 baths- (5th bedroom is currently being used as den) on exquisitely well-manicured grounds. Elegant Timeless features throughout this well-built Gary Gietz Home. Master Bedroom is down with wonderful sitting area with fireplace to enjoy "
"Check out our drone video under the ''Photos'' tab. Meticulous estate fully redesigned & redecorated in 2015, features beautiful living spaces, luxurious master suite plus three en-suite bedrooms, and two powder rooms, and private office. Please note the only room on the interior second story is a magnificent balcony which overlooks the airstrip, so you can watch the planes taking off and landing! And you can park your plane or multiple toys and RV's in the private hangar, of apx 3,000 square fe"
"This is the Beverly Hills of Chandler!!! Exclusive gated community with enormous lake and grassy hills. Limited extremely luxury homes. 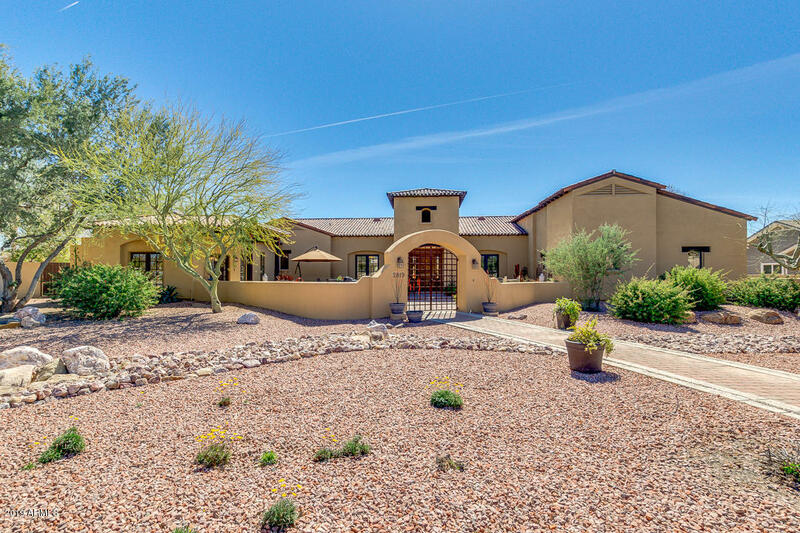 Stunning custom 6828sf estate on acre+ home site. Offers indoor to outdoor living! You'll feel like you're in a resort with 14' ceiling high and seamless windows and floor to ceiling sliders from huge great room to 1950sf of patio and water feature. 1862 sf garage/storage. Fantastic views of lake. Guest qtrs. Italian trav/cherry hardwood floor. 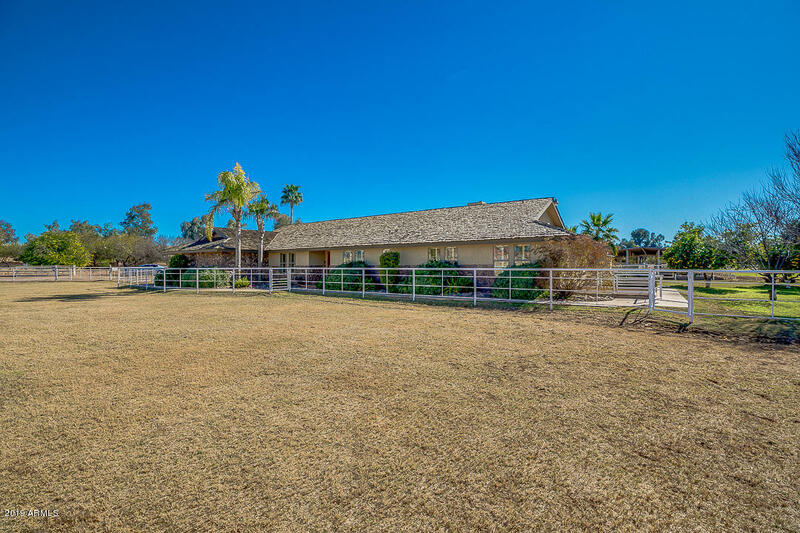 Gourmet kitchen w"
"Prime Chandler Location Horse Ranch where the horses roam free 8 hours every day! 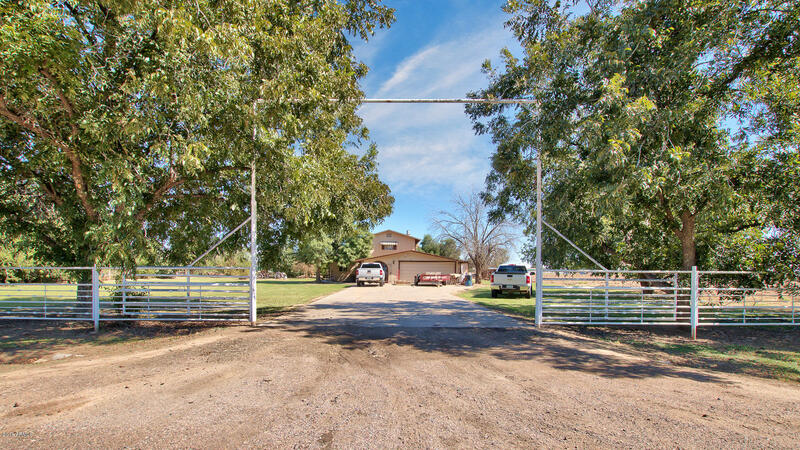 This 4.09 acre Irrigated horse property in the heart of Chandler is an Extremely rare find! A fabulous custom home with 4-bedrooms (2-masters), 3-baths, (2' X 6') construction, BASEMENT with a walk-out patio, Pebble-tec pool, heated in-ground spa, attached 3-car garage, and tons of upgrades including: plantation shutters throughout, Stone Fireplace, intercom system, New fans, Saltillo tile floors, (10' X 60') tongu"
"BACK ON MARKET-BUYER UNABLE TO PERFORM. 5.11 acres zoned R-43. Unique, new basement custom home under construction. High-end products used in construction to maximize energy features. Home was permitted & all inspections completed to current status. Also on property is a manufactured home (owner occupied). There are two acres at back of property that are in city but there is currently no access road (there is room to create a road). 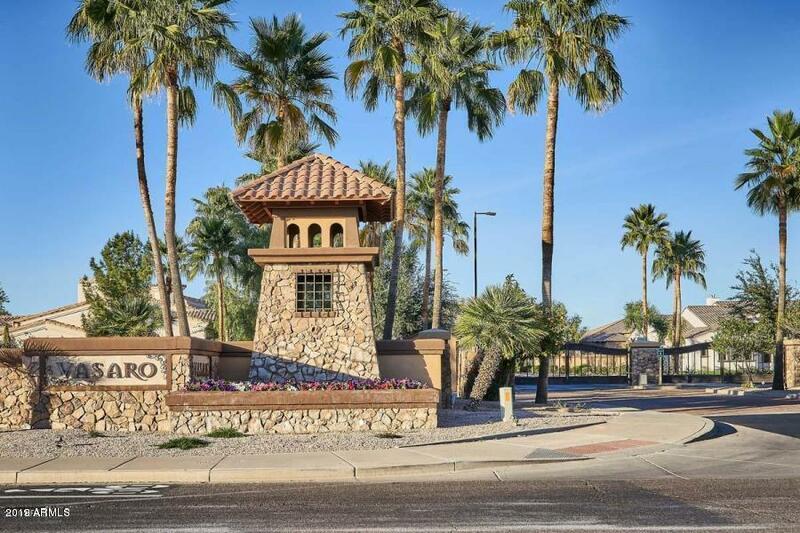 City water is at edge of property, just needs to be connected"
"Welcome to Bela Flor, one of Chandler's ideal locations for those demanding a distinguished lifestyle within convenience of the best schools, restaurants, golf & many other conveniences. This 4 bedroom, 4.5 bathroom Santa Barbara/Tuscan beauty is architecturally stunning from the moment you drive up. 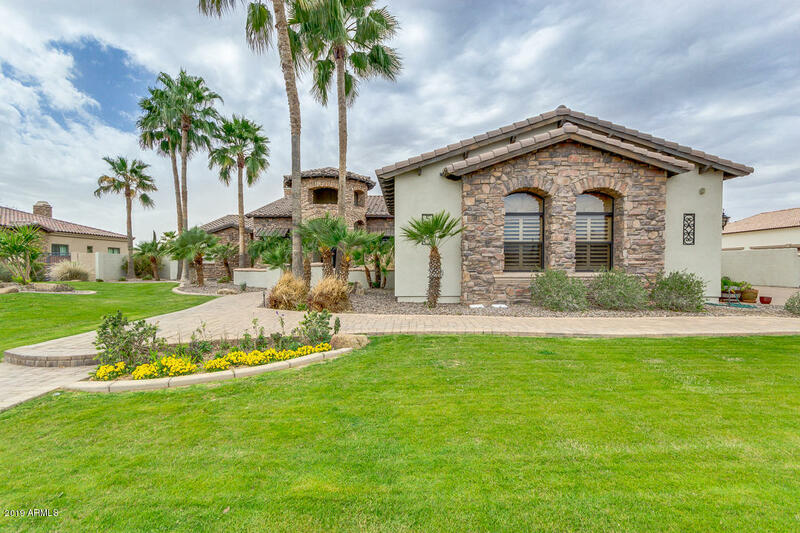 The picturesque & dominating home boast an iconic bell tower, canterra stone, iron accents & stone all complimenting the inviting courtyard w/fireplace, soothing water feature, to the grand iron ent"
"Exquisite cul-de-sac home in gated community of Stellar Airpark Estates. 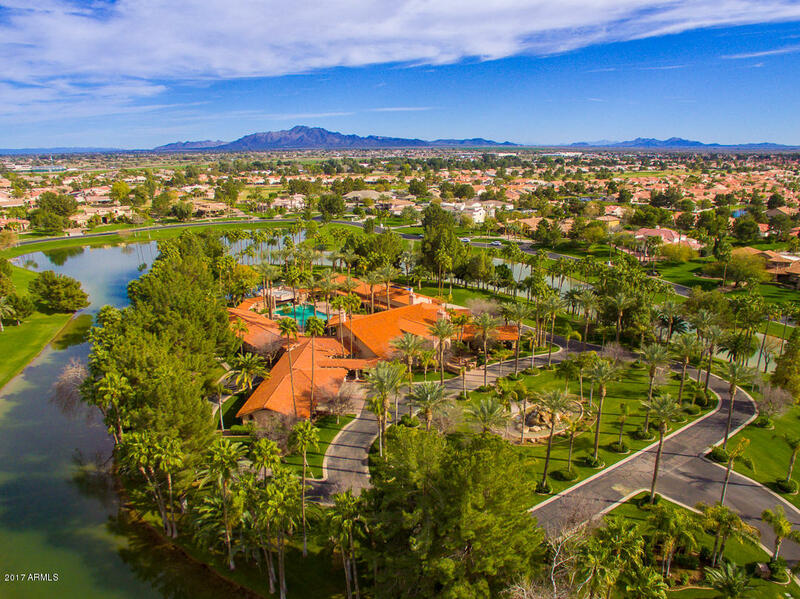 This one of a kind Gated Aviation Community offers the convenience to fly where you want from your own private hangared residence. Home features Travertine flooring, large family room, gas fireplace, large open kitchen w/granite, SS appliances, walk in pantry. Over sized master bedroom w/large walk in closet, 2 person jetted tub, separate vanities. Lots of storage. Tranquil backyard w/Canterra Stone benches, water fountai"
"NEW CUSTOM HOME IN THE GATED COMMUNITY OF VASARO. 5 LARGE BEDROOMS, ALL WITH IN SUITE BATHROOM ACCESS, SEPARATE OFFICE, LARGE BONUS ROOM WITH BARN DOOR. EXPANSIVE OPEN GREAT ROOM/KITCHEN PLAN W/DRY BAR, WALK IN PANTRY, WHITE CABINETS, FARMHOUSE SINK, BUILT IN STAINLESS STEEL APPLIANCES, 48'' REFRIGERATOR, COMMERCIAL STYLE RANGE & HOOD, STONE, WOOD, & CARPET FLOORING, 10X16 DISAPPEARING WALL OF GLASS. 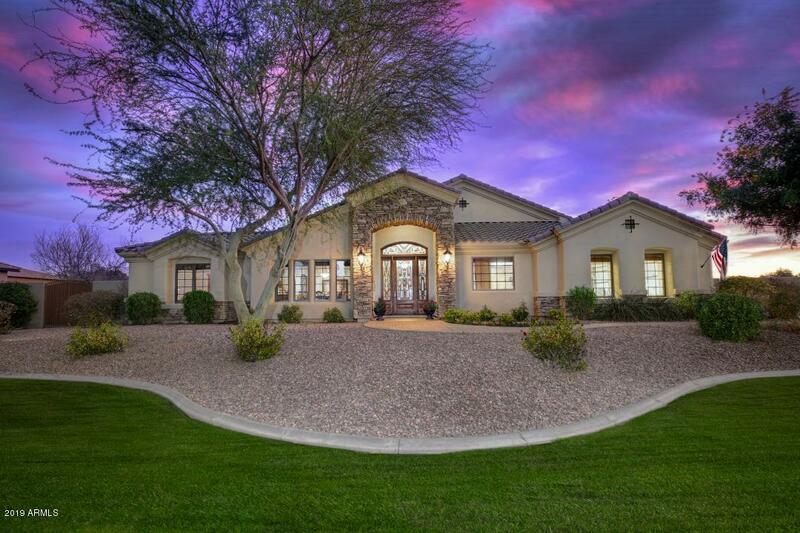 THIS HOME BOASTS 12' & 14' CEILINGS, FORMAL DINING, LARGE 4 CAR GARAGE. IT IS SO NEW, THAT"
"Winner of Best Home on Tour, SE Valley Regional Assoc. of Realtors. 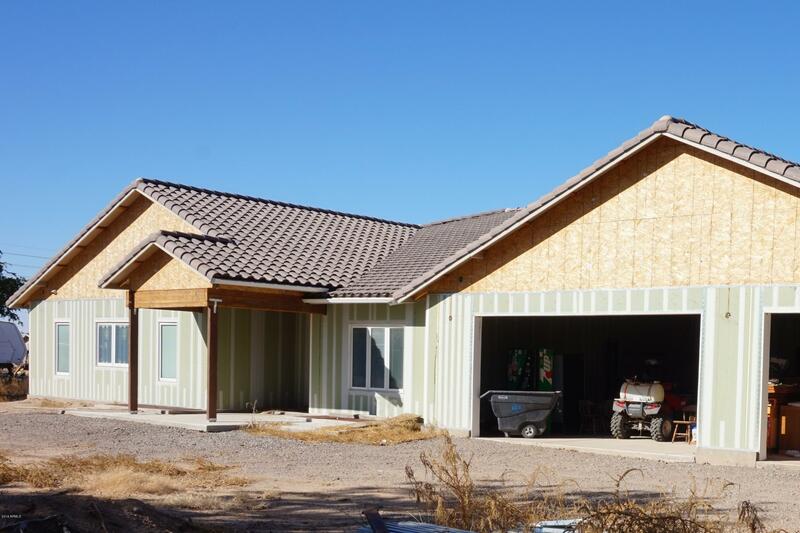 Multi-generational magnificent 5,550+ sqft 1-STORY CUSTOM HOME in Circle G Riggs Ranch on .93 acres w/over $75K in upgrades. 10.12 kw/ 44 SOLAR PANELS Owned Free/Clear connected to the entire property, w/inverter box inside the RV & NEW 2012 INSULATION throughout. 2013 NEW AMANA HVAC unit inside/out. 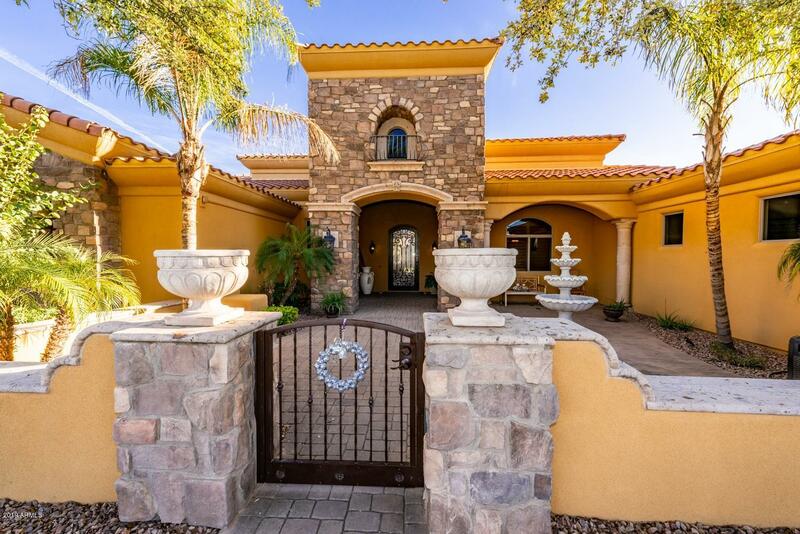 Custom wrought iron front gate, PAVED COURTYARD w/a custom granite fountain.This 5B+/5.5B/3Car/Separate 2 Bay RV/CASITA home w/a "
"Land your plane and taxi to your hangar in Stellar Airpark. Throw your bags inside and relax atop the observation deck while you enjoy the mountain views. 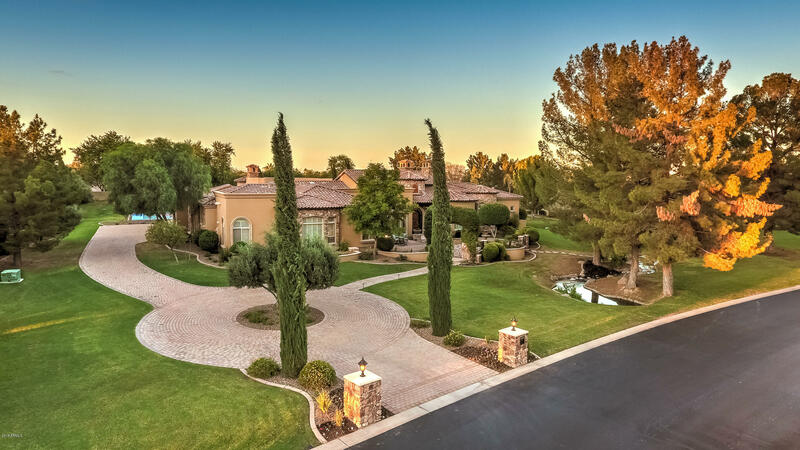 One of a kind Gated Aviation community provides an amazing fly-in fly-out lifestyle. Fly to Sedona for lunch! While you will love the beautiful open layout home with it's fine finish level your memories will made as the Schweiss 42'x12' Bi-fold door opens to take family and friends down the landscaped taxiway to the 4000' airstrip and the sky "
"Exquisite custom home in the prestigious gated community of Vasaro (Citrus Preserve). Experience the finest custom finishes in this gorgeous, single-level, 5282 sf home with 4 bed/4.5 bath, a formal dining room, an elegant living room with fireplace, an office, a gourmet kitchen with eat-in area, a large family room with wet bar and another fireplace, and a spacious entertainment room. Stunning elevation with private gated courtyard and iron & glass entry door. Impressive pillars and archways. E"
"Custom Home in exclusive gated community of Vasaro Citrus Preserve!! 5 bedroom plus office, 4.5 baths! Stunningly Detailed Craftsmanship! 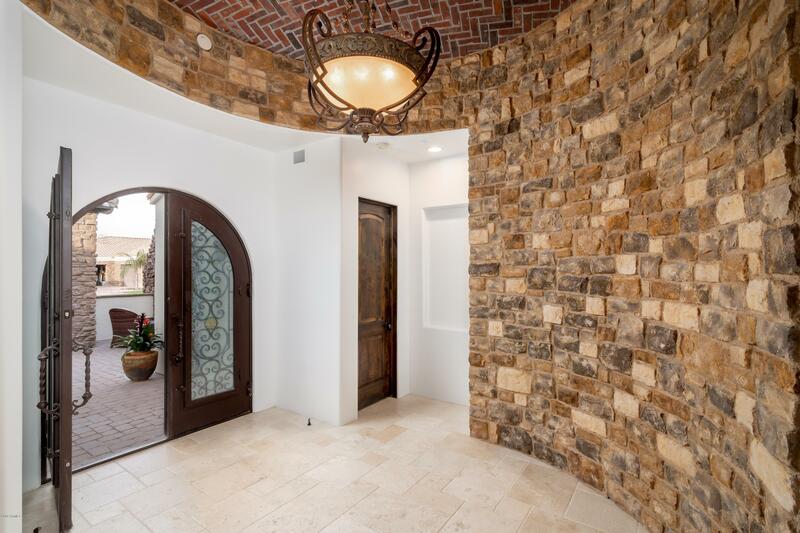 Private Gated Courtyard Entry, stunning iron & glass double entry to dramatic foyer with full wet bar. Travertine & imported wood floors. Living room has beautiful fireplace, formal dining room w/ views to courtyard and fireplace. HUGE, OPEN family room w/ built-in cabinets, large windows, french doors & an archway opens to the gorgeous kitchen & breakfast noo"
"6 bedrooms, 6 baths, detached garage, 60,000+ lot - all on a cul-de-sac in a gated community! The master is on one end of the house with an additional bedroom, the others are on the opposite side - two have their own baths and the other two share one in the hall. The 6th bedroom is HUGE and is currently being used as a game room. The kitchen offers tons of counter space, large eating area and chefs range with double ovens. Lots of storage throughout, central vac, maple cabinets, carpet only "
"This Stunning Fulton Ranch estate in the highly sought after community of Agean Cove at Fulton Ranch could be yours.. After walking through the brick paved courtyard enter this 6 bedroom beauty's foyer which welcomes you with two grand staircases, a custom wine cellar,upstairs laundry, all bedrooms have en-suites and walk in closets. Other home features include stunning wood flooring, gorgeous wood casing, Restoration Hardware lighting throughout,office, plus oversized bonus room, wet bar an"
"What memories will you make in this gem on Gemini? Discover the Luxury & Lifestyle in this custom built basement home in the highly desirable & gated community, Citrus Preserve. 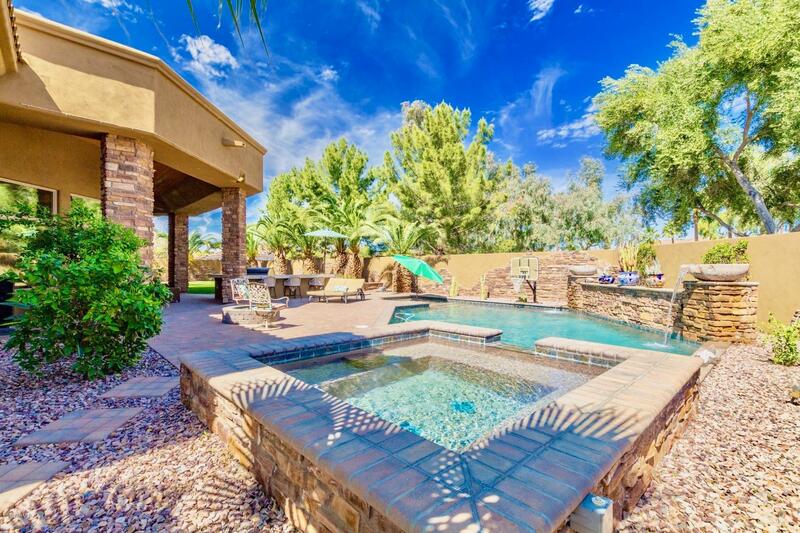 Private backyard paradise features covered patio, green space, built-in BBQ, fire pit & sparkling pool/spa with waterfalls. Home sits on the most premium of corner lots at the end of a cul-de-sac. Maximum privacy & seclusion, home backs to a green space. Stunning fountain, paved circular driveway & ornate iron front door"
"Exquisite Custom Home In The Exclusive Whitewing At Krueger Subdivision. The Stone Paver Walkway Leads To the Ten Foot Iron And Glass Door With Sculpted Travertine Surrounds. The Foyer Looks Through To The Formal Living Area With Stone Pillars And Wall Of Glass To The Pool And Patio. The Floors Are Honed And Polished 24 Inch Travertine Through Out Home. The Huge Kitchen Features Knotty Alder Cabinets,Granite Counters,48 Inch Gas Cook Top With Pot Filler And Custom Fan Hood With Scroll Design,Dou"